The economics of the oil patch have seldom been better. But even with an abundance of jobs, there’s still a shortage of workers. In this economic environment, you have bigger things to worry about than your employees’ hearing. But with Custom Protect Ear (CPE), your operations can gain productivity and look after your workers’ best interests at the same time. Specializing in personalized hearing protection, we’ve helped many companies, including Albion Sands and Imperial Esso, overcome performance limitations and maintain the highest hearing conservation standards. 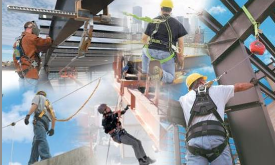 From the very start, CPE assesses the noise levels and working conditions each person faces. Then we determine the best protectors for the individual and make the appropriate recommendations for optimal productivity, protection, and comfort. Usually, workers in grimy environments lean toward disposable earplugs even though they’re an inadequate form of protection. But disposable earplugs become filthy because of dirty hands. The fact that CPE’s dB Blockers are not disposable is a huge benefit. Your workers won’t have to remove or adjust their protectors during the day and grit grime doesn’t get in their ears. 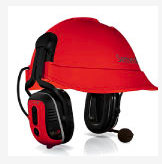 Plus Custom Protect Ear offers Intrinsically Safe Smart Muffs. They can use The Grip to remove their protects without ever touching the earpiece. dB Blockers can be inserted with clean hands at the start of the day for the whole day. As well, they’re washable, they cost less to use and they’ve a solid defence against hearing damage. In large facilities like petrochemical plants that have a low concentration of workers, radio communication keeps workers in touch with plant supervisors. When integrating dB Blockers with I/S radios, CPE combines dB Blockers and intrinsically safe communication connections. This facilitates and enhances radio communication, thereby, avoiding misunderstandings and reducing the need to repeat conversation. People can also talk to each other or hear radio calls without removing their protectors, while staying protected at all times. dB Blockers also feature a coloured exterior, so supervisors can immediately see if workers are wearing them. For enormous oil sands plants with thousands of employees, upholding hearing conservation standards becomes much easier. With your workers’ hearing properly protected by dB Blockers, you can rise above all these challenges, enabling you to establish better employee relations to attract more workers and gain further productivity.